Valentine’s Day is fast approaching. Candy and flowers are the go-to last-minute gift for most, but if you really want to impress your sweetheart (or other loved one if your life), why not give the gift of time? 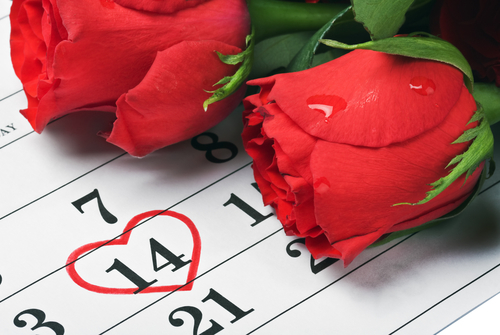 A night out with that special someone can create lasting memories, whose value long outlasts the Valentine’s season. For residents of Dalian on the Park apartments, there are ample opportunities for a night out on the town—from fine-dining restaurants to museums to concerts. Those who want to really treat their special someone this holiday are in luck, as one of the most anticipated stage shows is returning to a theater near you! Shen Yun Performing Arts pulls into town from Feb. 23-March 11 at Merriam Theater, 1.5 miles from your Dalian on the Park apartment. The renowned international performance company fuses dance, music and art to tell the storied history of Chinese culture. Classical Chinese dance comes to life by the award-winning performers, who are joined by a live orchestra. Colorful, intricate costumes are designed in authentic Chinese styles, while the orchestra uses traditional Chinese instruments. Shen Yun has performed in Philly before, to wide acclaim, so surprising your Valentine with tickets to the show is sure to be a hit! The performance offers a feast for the senses—from impressive acrobatics to heart-pounding tunes to entertaining and educational folklore—so no matter what your date’s interests, the show will satisfy. A night at the theater pairs great with a pre- or post-show dinner, and there are ample opportunities for quality cuisine right near the theater. Your Dalian on the Park apartment is also close enough that you and your sweetheart can take a leisurely stroll to your night out on the town, eliminating the headache of traffic and parking—and giving you the chance to score some points in the romance department as you walk hand in hand with your date to make the night even more meaningful!